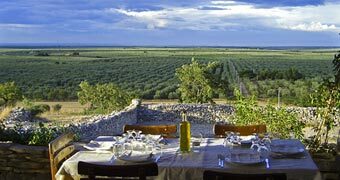 Lama di Luna is a fabulous example of a typical Puglian farmhouse transformed in environmentally friendly county hotel and farm stay, in which to enjoy the very latest in eco-sustainable hospitality. 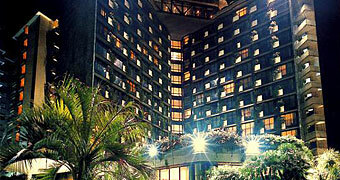 An upscale, modern business hotel, featuring excellent convention facilities. 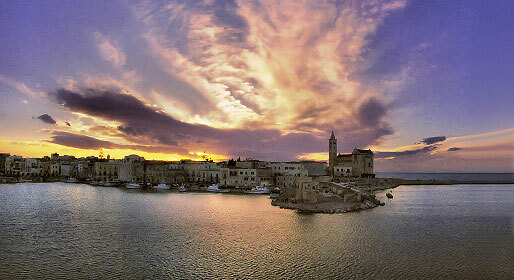 Within a small inlet, transformed in to a well sheltered port, one finds Trani. Trani is now a well established tourist destination, a favourite bathing and leisure resort which, at the same time, offers visitors the opportunity to explore a number of historical, artistic and cultural sites. The mild climate, together with the abundance of tufo, with which most of the houses are built, favored the human settlement in the small inlet. 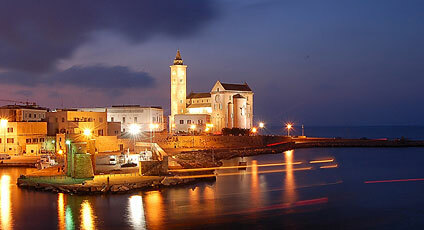 The economy of the town is based largely on the extraction and working of the "Stone of Trani". 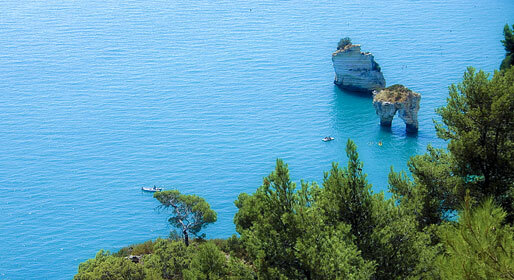 To visit: the Cathedral, situated on a terrace overlooking the sea, the Svevo Castle, and the Diocesan Museum which houses the Lapidary with exhibits from the Churches of Trani, the Art Museum, and a room dedicated to exhibits originating from the Necropolis of Canosa. The port of Trani is well equipped as far as nautical sports are concerned and site of numerous events such as the Adriatic Cup, the Trani-Dubrovnik, the Tour of Italy, and the Venice-Montecarlo. The local Extra Virgin Olive Oil is the town's most important gastronomic product.